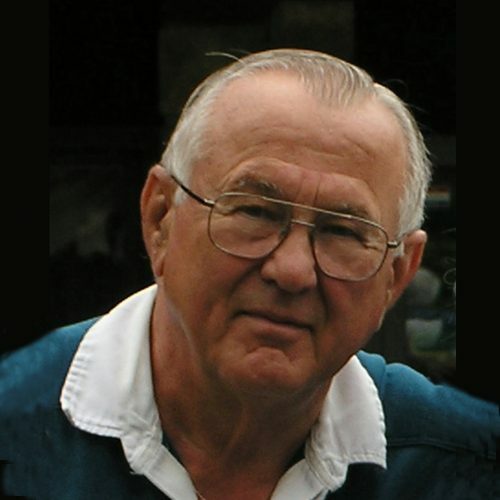 Dr. George J. Kriz received his BSAE (1960) and MSAE (1962) from Iowa State University and his PhD (1965) from the University of California at Davis. While an undergraduate and graduate student, he was inducted into Phi Kappa Phi, Gamma Sigma Delta, Alpha Zeta, Cardinal Key and Sigma Xi. In June, 1965, he was employed at NCSU to reinvigorate the water management program and in 1966, Dr. F.J. Hassler, Head of BAE, asked him to initiate the animal waste management program. In 1969, he was named Associate Head of the Biological and Agricultural Engineering Department responsible for the departmental extension programs. He was the first Associate Head of any department in the College of Agriculture and Life Sciences. In 1973 he was named the Assistant Director of the NC Agricultural Experiment Station and was promoted to Associate Director in 1981. His primary responsibility was to enable the CALS faculty members to conduct their research effectively on the University Field Laboratories and the 15 Outlying Research Stations. He worked closely with Cooperative Extension in the development of the CALS budget. Dr. Kriz facilitated the field days that were held at the various research facilities. Along with Al Banadyga, the extension leader of Horticultural Science, he initiated the very effective commodity reviews during which CALS faculty members presented their research and extension programs to the appropriate agricultural industry leaders in order keep them abreast of the latest information for their commodity of interest. He served on numerous university committees that dealt with transportation, building construction, patents, long range planning and research representing the CALS administration. Dr. Kriz was very active in the Southern Association of Agricultural Experiment Station Directors. He represented them on several committees including the National Research Committee and the USDA Joint Council. He served as the Administrative Advisor to several regional research committees and the Agricultural Engineering Department Heads. Dr. Kriz served as President of his professional society, the American Society of Agricultural Engineers in 1995-96. He along with other ASAE leaders was responsible for restructuring of ASAE, now ASABE, to encourage more participation of all members including student members in the association’s decision making process. He was a founding member of the ASAE Foundation and served on numerous committees of ASAE. At the appropriate time during his career, he was also a member of the American Society of Civil Engineers, the American Geophysical Union and the National Ground Water Association. Along with his wife, Rhoda, Dr. Kriz established the George J. and Rhoda W. Kriz Faculty Study Leave Endowment in 1993 to encourage CALS faculty members to take study leaves to enhance their research effectiveness. In 2015 the Kriz’s established a $4.5-million estate gift will fund multiple faculty-support endowments and one included the George J. and Rhoda W. Kriz Distinguished Professorship in Biological and Agricultural Engineering. He retired in 1999 as the longest serving Associate Director of Agricultural Research at a land grant university.